Watch Out! Angry Birds Flying Your Way! "Flock yeah! 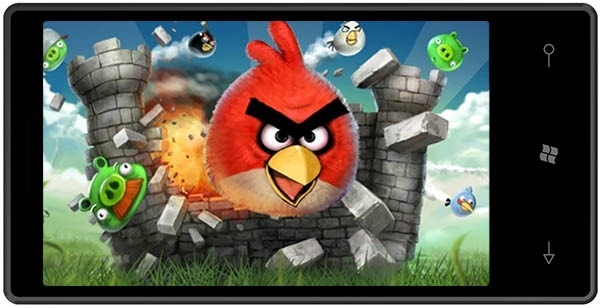 Angry Birds, the smash-hit smartphone game, is headed for Marketplace—and that’s for starters. Microsoft today announced its new spring lineup of games for the phone and it includes titles that I’m sure are on many of your wish lists." While I like the game, I haven't been yearning to play it. But it wasn't too long ago that Rovio didn't seem like they were in too much of a hurry to bring Angry Birds to the Windows Phone platform. Seeing this is a good indicator that the growth of the Windows Phone Marketplace is something that developers are finding hard to ignore. Angry Birds is just one the games that was announced in Microsoft's 6 "Must Have Games" that are set for release starting on April 6th. Check the link for the other great games. Seriously, my point is that while it is nice to see WP7 getting games, Angry Birds is at end-of-life ... it is a side-joke on Glee by now, and has resorted to cheapie add-ons and Android freebies to keep it alive. Also, while I love Plants vs. Zombies, it too is a game that has played through popularity and done millions on PC, Mac, DS, iPhone and iPad. Doodle Jump essentially died when Angry Birds launched. I mean, when do we hear about WP7 getting Doom ... or Bejeweled 2? Nah. I don't think you can call anything that has been downloaded over 50 million times and chews up tens of thousands (millions?) of man-hours "end of life". I get that you're saying that Microsoft needs to get the NEXT big game, but Angry Birds is such a staple game right now I think no platform is really "complete" without it. This is a good thing for Windows Phone 7. I have to admit that I spent 3 days playing Angry Birds for hours and hours and hours. I was addicted for that short time and the only reason I didn't play it longer is because I finished it. I am not all that excited about it coming to WP7. But it's the people who have never played it that might find the most joy in it. Though I do hope some competitors like Chicks'n'Vixens are able to do well enough to give Angry Birds a run for its money. Mainly because the developer is committed to WP7 while Rovio seems to have only decided to put the game on WP7 because the market could no longer be ignored.